As ever, Muotka leads the way in Aurora viewing innovation and we are therefore proud to offer our guests the chance to spend the night in one of only 20 magnificent Aurora Kotas. 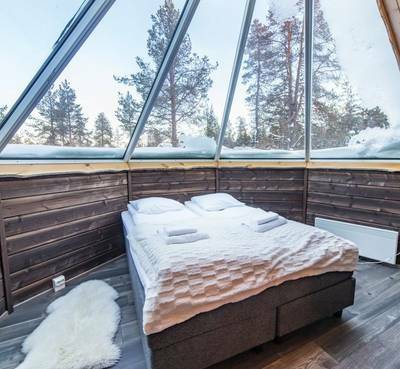 These stunning, part-cabin, part-glass tepee buildings, offer guests an exceptional overnight Aurora hunting experience. 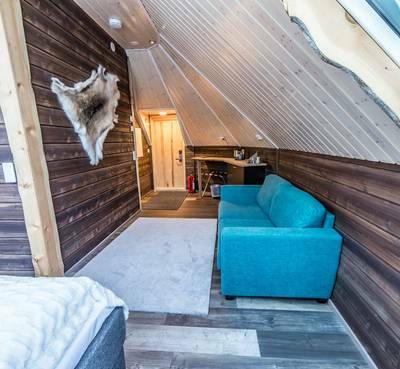 These part-cabin and part-glass tepee buildings, are self-contained and situated a short distance from the hotel, next to the annexe. 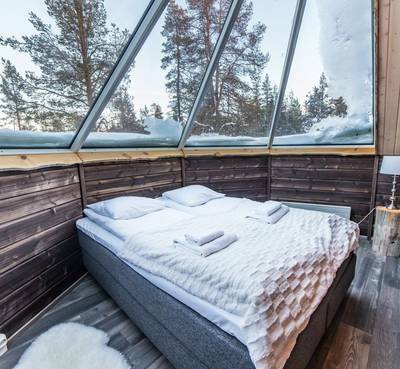 They combine the space and atmosphere of a cosy cabin with a glass roof above the bed. Each Kota faces north so ideal for guests to gaze upon the night sky every night of their holiday, from the comfort of their duvet. 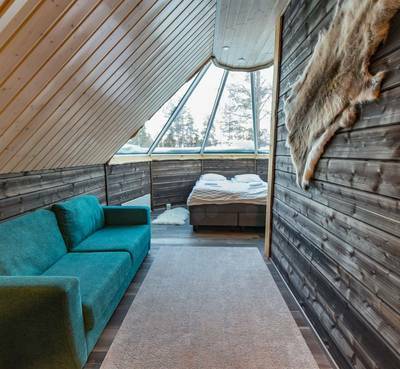 The Kotas are all 25m² with their own private sauna, double bed and en-suite bathroom, making them an excellent base.